John Long is a fine bluesman, and the path he took to where he is today was not the easy one, but he ended up in the right place. 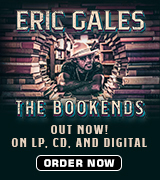 Growing up in St. Louis, he sought out the blues at a young age, and it certainly did not hurt that his mom was a guitar teacher or that his brother, Claude, was also a bluesman. By his teens, John was playing out and started exploring the intricacies of pre-war blues. In the early 1970s, Long moved to Chicago where he mentored under a new father figure, Homesick James Williamson, who was a protégé of none other than Elmore James. In the forty years since then, John has continued his journey, honing his craft and writing solid material, earning a BMA nomination for his debut album, and eventually moving back to Springfield, Missouri. 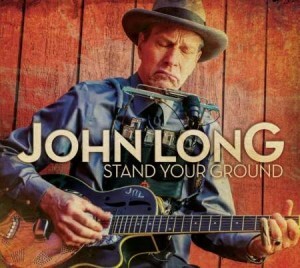 His new Delta Groove Music album, Stand Your Ground, is a really cool collection of original and classic acoustic blues. Long did most of the heavy lifting here, writing eight of the thirteen tracks, singing all of the vocals, and taking on all of the harp and guitar parts. He was joined on a few of the tracks by a handful of tight and very experienced musicians from Southern California, including Fred Kaplan on piano, Bill Stuve on upright bass, and Washington Rucker behind the drum kit. This disc was cut in only two days at Audiogrand in North Hollywood, California, and the resulting music has a very natural and live feel. First up is a tribute to Long’s mentor, and the message of James Williamson’s “Baby Please Set a Date” is the timeless story of a man who does not want to wait another day to be with his lady. 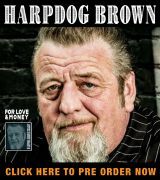 Long’s voice is perfectly worn, and his inflection and tone hearken back to the early days of blues music. Fred Kaplan’s piano work fits in wonderfully on this track, as he carries over his years of experience from Hollywood Fats’ band. The remaining cover tunes are sequenced near the end of Stand Your Ground, and Long does not screw around at all with Blind Willie Johnson’s 1920s gospel blues song, “I Know His Blood Can Make Me Whole.” John takes this one on as a solo effort with his jangly slide acoustic, and he displays a lot of vocal versatility, adding in a wicked warble that is to die for. There is also a slow-tempo version of Thomas Dorsey’s “Precious Lord, Take My Hand,” with a neat drum accompaniment from Rucker, and harp-heavy take on Blind Willie McTell’s “Climbing High Mountains” (big time falsetto here!). But this is not a cover album, and Long’s originals are well written and stand up well to the blues masters’ songs that he chose for the mix. His guitar playing on these songs is fascinating, as he is innovative and goes far beyond what pre-war players did with their instruments, but he never loses the vintage vibe. “Red Hawk” is a prime example of this, as he uses a lot of double stops, harmonics, and descending patterns that sound amazing on his resonator guitar. Long also covers subjects that were not song-worthy back in the 1920s or 1930s, and he can write a tune about living with Parkinson’s disease (“No Flowers For Me”), and have it fit in perfectly with the classic material. The same can be said for “One Earth, Many Colors,” which carries a beautiful message of inclusion. The originals are righteous enough that the title track turns out to be one of the standout songs on the album. “Stand Your Ground” brings Stuve and Rucker back on stage and these two fellows really click, contributing a fat and woody bass tone, as well as lovely rhythms on the drums. The melody is very catchy, and the lyrics are about a father’s advice to his son, not the controversial Florida law. John ends his set with his original “Suitcase Stomp,” and as it is only two minutes long it is a neat coda to this project. This is a fun and rowdy song, and Long get the chance to shine on his harp and guitar one last time before he leaves the stage. 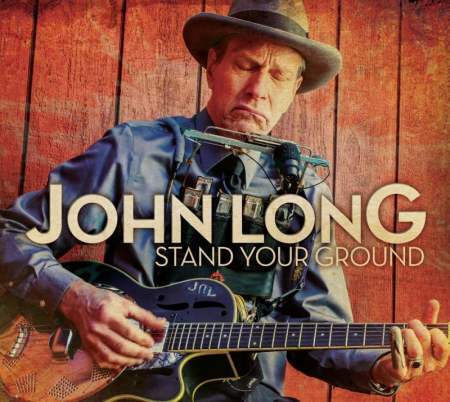 John Long has the pre-war blues sound and feel nailed down tight, and he is able to carry this mood over to more modern lyrics with no awkwardness or feeling that things are contrived. Stand Your Ground works on a lot of levels, including its content, musicianship, and production. If you dig classic blues and want to hear something fresh, Stand Your Ground would definitely be a wise purchase.